Leasing is a very cost-effective way to invest in business equipment. It’s not just for businesses who can’t afford to pay cash. Companies both large and small realise that leasing is the best way to keep up with a changing market. 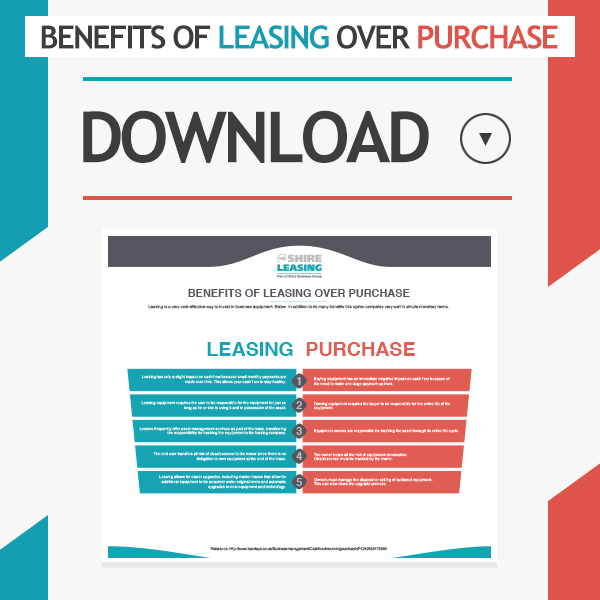 Find out what the difference is between Leasing and Purchase. Just fill out the above form and decide for yourself!